Every moment you spend in the waiting is a moment you can spend growing in how you learn to be present to the moment. Every moment you spend in stagnant waters is a moment you can spend learning to have gratitude for the fact that you are still breathing, and Light is still pouring in here. 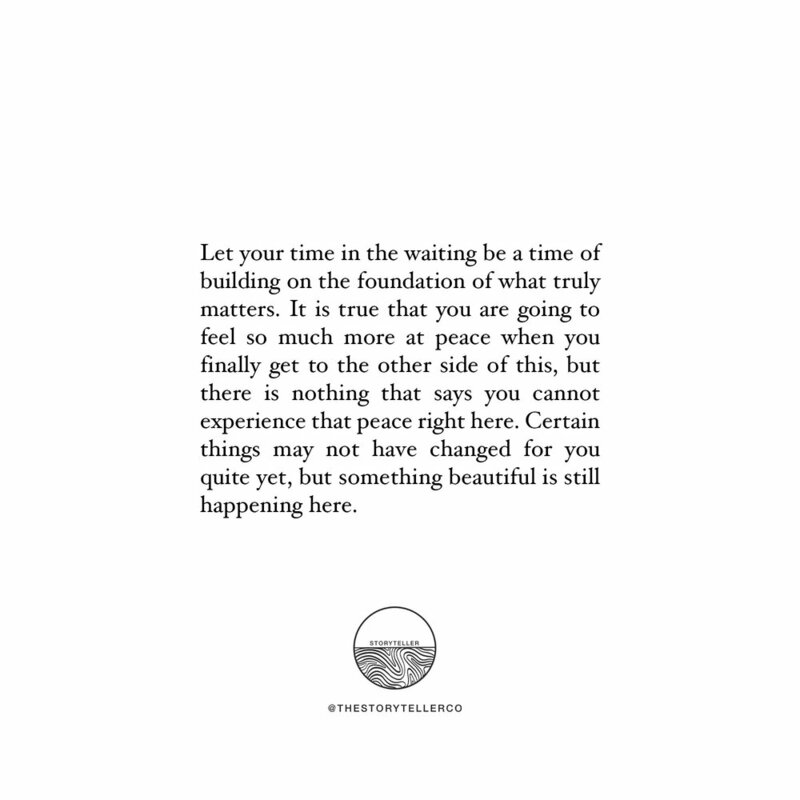 Let your time in the waiting be a time of building on the foundation of what truly matters. It is true that you are going to feel so much more at peace when you finally get to the other side of this, but there is nothing that says you cannot experience that peace right here. Certain things may not have changed for you quite yet, but something beautiful is still happening here.